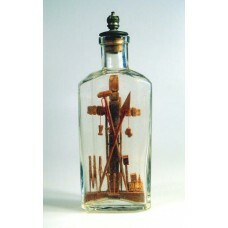 This barber's Lanolin bottle contains a cross and many religious symbols associated with the crucifi.. 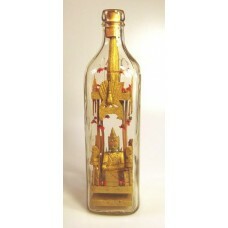 This chair in a bottle was made by Jesse Jackson who made these to sell to tourist in the .. 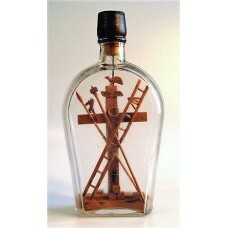 This handmade wooden cross in a bottle has many of the elements commonly found in these religious bo.. This is a wonderful crucifixion scene of a hand carved wooden figure of Jesus hanging on.. 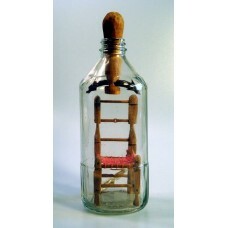 This is a handmade wood & twine chair inside old Morticians Bottle Co Bottle. The wood chair has.. 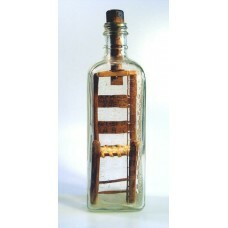 This chair in a bottle is made by R C Axton, who was Roscoe C. Axton, born in Kansas in 1885, d.. 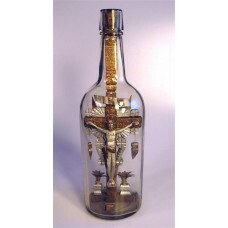 This amazing and beautiful crucifixion scene in a bottle has a cast metal figure of Jesus hanging fr.. 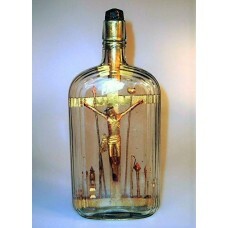 This Crucifixion scene with Jesus on the cross built in a bottle was made by an anonymous artist who.. 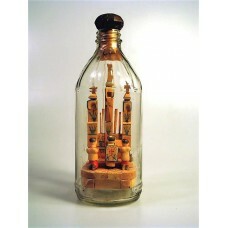 This is a wonderful Buddha shrine built in a bottle. Buddha is seated on a platform raised from a pe.. 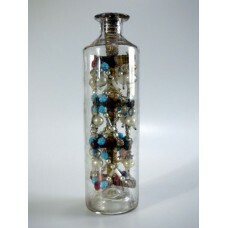 This scene in a bottle was possibly made by an Australian Aborigine native. It contains a cross and .. 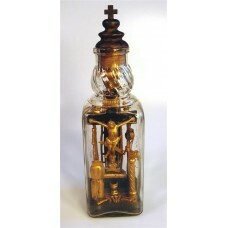 This is a rare example of a glass bead winder built in a bottle in the early 1800's. It is believed .. 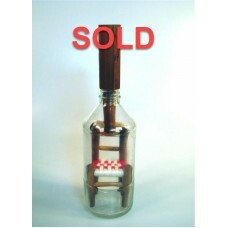 This is a chair in a bottle with a cloth woven seat. 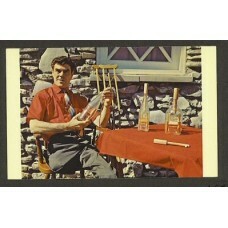 The chair is made from pine and is approx.. 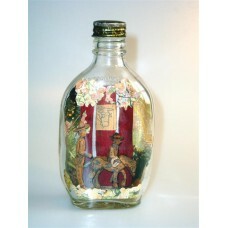 This is a unique piece of folk art featuring a church altar scene in a bottle. It is a scene depicti.. 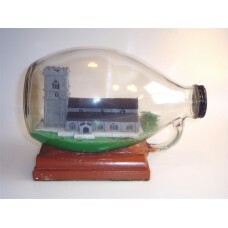 This is a tranquil pastoral scene of a large church or perhaps a cathedral on a green lawn built ins.. 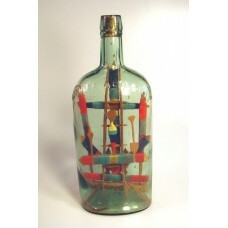 This is a great Old Quaker liquor bottle with two cowboys and a horse made from wood. One man is on ..